All out for Sept. 5! National Day of Action against Police Crimes! | Fight Back! 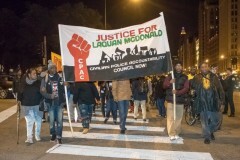 The Chicago Alliance Against Racist and Political Repression (the Alliance), in coordination with the National Committee Against Police Crimes, is leading the call to stand up to demand justice for Laquan McDonald, who was brutally shot 16 times execution-style by white Chicago Police Department officer Jason Van Dyke on the night of October 20, 2014. 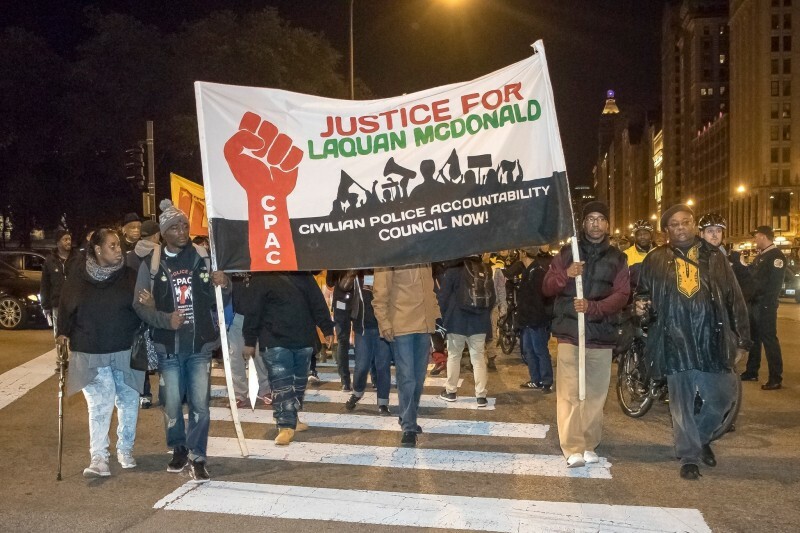 The Alliance and the NCAPC are calling for solidarity actions nationwide in support of the people’s efforts in Chicago to hold killer cop Jason Van Dyke accountable for the murder of Laquan McDonald. The eyes of people around the country are on Chicago for the movement against police crimes. This is the first time in the city’s history, and possibly the history of the nation, that a white police officer has been indicted for first-degree murder for killing an unarmed Black person. From the beginning of Laquan’s murder, starting with the cover-up of the video recording of the murder by Chicago Mayor Rahm Emanuel, the entire system seemed determined to not allow justice to prevail in this case. Without a movement, there is no guarantee of justice. Sept. 5 is a pivotal day for the Black liberation movement nationally and the movement against police crimes. It is our chance to make sure a killer cop is held accountable for his crimes and to build the movement to win more victories like this. On Sept. 5, the Chicago Alliance calls for a mass protest outside the courthouse at 26th Street and California Avenue to begin at 8:00 a.m. We urge all organizations in Chicago and in the Midwest to unite with the call and join them. For those outside of Chicago and surrounding area, we are calling on you to organize a solidarity demonstration in your own city and town, to protest police crimes and call for real police accountability and community control of the police. All out on September 5th! Justice for Laquan McDonald and all victims of police terror! Community Control of the Police now!